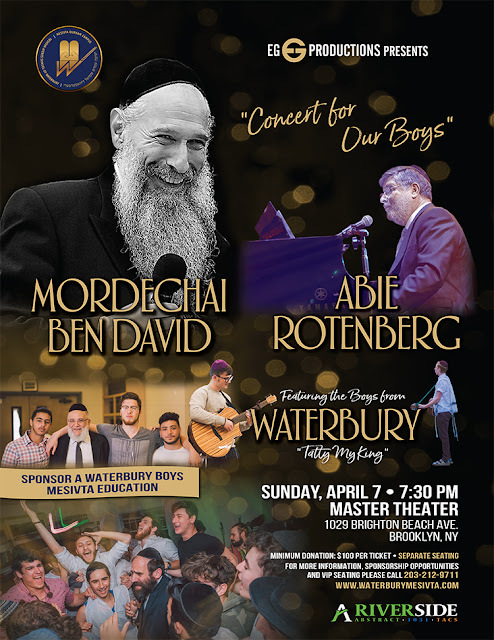 Mordechai Ben David and Abie Rotenberg in concert. This Sunday, April 7, at 7:30PM. two free tickets to the show! Winner will be announced shortly. All proceeds go to support the Yeshiva of Waterbury Tzedakah fund.